Here’s a 2 week itinerary for vacation in Philippines. 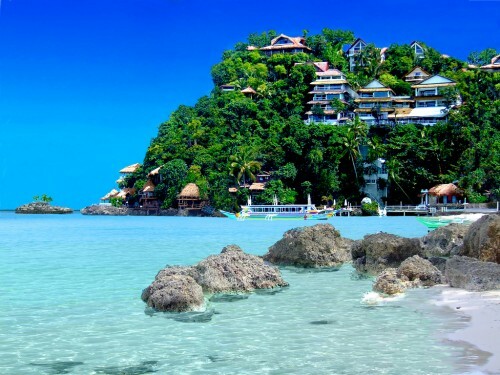 It was provided by one of our readers who recently purchased tickets to Philippines through Rushflights. As you can see, the trip takes you to couple of very different places: island Palawan (El Nido), island Bohol (Alona Beach) and Manila (shopping). Distances in Philippines are huge because the country is scattered over 7000 islands and you usually need to fly between the islands. Another problem is that most airlines don’t fly between the islands directly but you always have to travel to Manila or Cebu and connect from there. Good thing is that most airlines are very cheap and there is tough competition which keeps the prices low. This itinerary could also squeeze in trip to rice teracces in Batad/Banaue, but you would have just one or two days there according to our reader. Manila – Puerto Princesa, flight Air Asia, 900 PHP, 1h10m, terminal 4, 10 minutes ride from terminal 1, shared bus, 20 PHP. van transport Puerto Princesa – El Nido, 700 PHP with hotel pickup, Eulen Joy, 10 people, 4 people in a row, very squeezed and uncomfortable, not enough space, 6h30min ride, 1 stop in Roxas after 3h. bumpy road 2h before El Nido, paved road being built. « Cheap flights to Israel: Katowice-Tel Aviv for €57!